We have a new Classifieds system in place that is free for everyone to use. You may post your miscellaneous peafowl items here. If you are looking to sell or looking to buy something, it is free to post your classified ad on this page. You must post a valid email address as well as your city and state so potential seller or buyers may reach out to you. We approve all submissions prior to posting the ad live on this page. No links or spammers allowed. Hit the “Click here to Post” button below to place your classified ad. 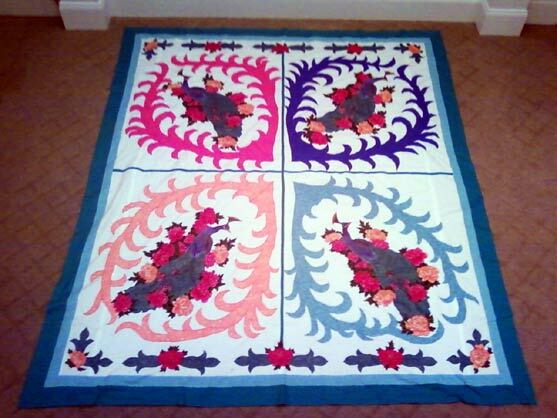 James Hill has quilted 5 beautiful Peacock Quilts this winter. All proceeds go toward feeding his peafowl. Please call or email him for more info.